The Blue Jays and Astros acquired closers that neither team wanted anymore. The Toronto Blue Jays and Houston Astros agreed to an interesting trade on Monday, with Toronto sending currently suspended closer Roberto Osuna to Houston for demoted and deposed closer Ken Giles, David Paulino, and Hector Perez. 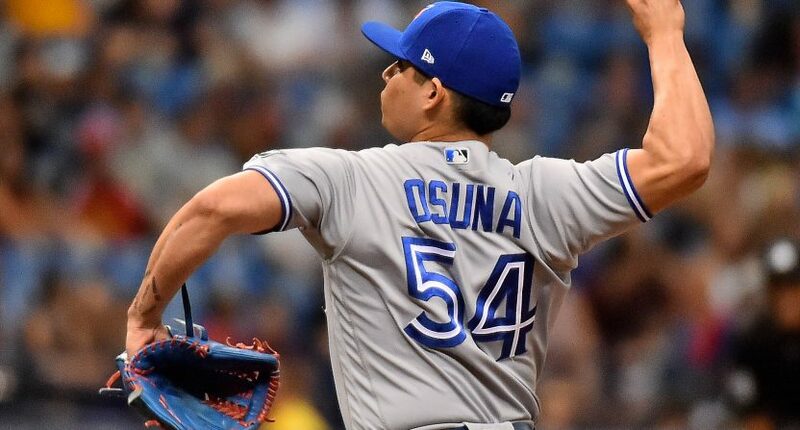 Osuna is currently in the midst of a 75 game suspension for domestic violence, which is scheduled to conclude on August 4th. Giles is currently in AAA, earning a demotion from the majors earlier this month after telling off Astros manager AJ Hinch on the mound following a rough outing. On the mound, Osuna is one of baseball’s best closers. In 2017, the 23-year old pitched to a 3.38 ERA over 64 innings, saving 39 games, walking just nine, and punching out 83 opposing hitters. He won’t be a free agent until after the 2020 season, and crucially for the Astros, his domestic violence suspension does not preclude him from pitching in the Postseason, unlike a suspension for PEDs. Of course, the “on the mound” part is secondary. Osuna was arrested in May for assault, and was eventually handed that stiff suspension by MLB Commissioner Rob Manfred. By acquiring him for the stretch run (and beyond), the Astros are putting themselves in the same position the Cubs did two years ago when they traded for Aroldis Chapman, months after he completed a 30 game suspension for domestic violence. The Cubs were roundly criticized for the move, even though it ended up working out on the field, and some had a sour taste in their mouth from the Cubs winning the World Series with Chapman playing such a key role. David Paulino is a fallen star of another sort. He’s just 24, and used to be the #3 prospect in a loaded Astros farm system. But he missed half of last year following a PED suspension, and has thrown just 27 innings this season (all in the minors) while dealing with a shoulder injury. Hector Perez is Houston’s current #10 prospect, a 22-year old currently in AA with a 3.73 ERA, 101 strikeouts, and 48 walks over 89 1/3 minor league innings this season. If you’re an “on the field results over everything” type of person, Houston has clearly improved their bullpen (well, once Osuna’s suspension is up and he’s reinstated), but they’re going to take plenty of deserved flack given the reasoning for Osuna’s suspension. Toronto got way more value than I expected for Osuna, bringing in a prospect with upside in Perez, a reclamation project in Paulino, and a legitimate stud reliever who needed a change of scenery in Giles. Given the fact that earlier today, there was hesitation as to whether or not the Jays could even trade Osuna this year, this return has to be considered a success for the Blue Jays.